Have you always wanted to learn how to speak the Jordanian Arabic dialect but simply didn’t have the time? Well if so, then look no further. You can have one of the most advanced and revolutionary methods ever designed for quickly becoming conversational in a language. 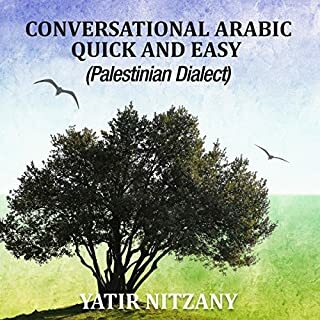 Have you always wanted to learn how to speak the Palestinian Arabic dialect but simply didn't have the time? Well if so, then, look no further. You have here one of the most advanced and revolutionary methods ever designed for quickly becoming conversational in a language. 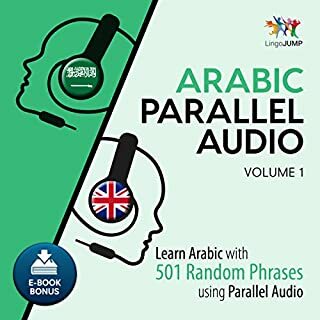 Most excellent Arabic audio book!!! We will have you speaking Arabic in no time. Lingo Jump's parallel audio language learning system makes it easy to learn languages at your leisure. Whether you're relaxing or on the go, our simple, clear, and fun audio lessons help you learn through imitation of our speakers. Immerse yourself in a new language with confidence - we're here to get you talking using phrases that you'll learn with ease through parallel audio. Have you always wanted to learn how to speak the Syrian Arabic dialect but simply didn’t have the time? Well if so, then, look no further. You are listening to one of the most advanced and revolutionary method that was ever designed for quickly becoming conversational in a language. In creating this time-saving program, master linguist Yatir Nitzany spent years examining the 27 most common languages in the world and distilling from them the 350 words that are most likely to be used in real conversations. These 350 words were chosen in such a way that they were structurally interrelated and, when combined, form sentences. 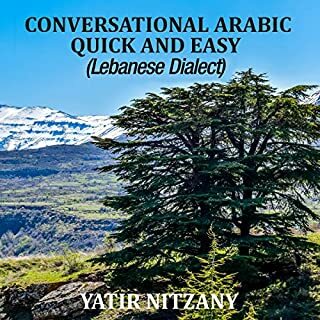 Through various other discoveries about how real conversations work - discoveries that are detailed further in this book - Nitzany created the necessary tools for linking these words together in a specific way so that you may become rapidly and almost effortlessly conversant now. If your desire is to learn complicated grammatical rules or to speak perfectly proper and precise Arabic, this book is not for you. 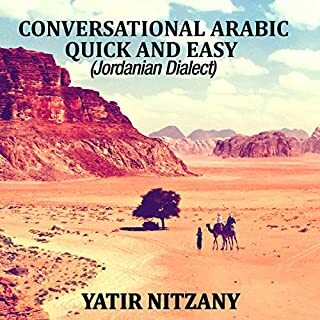 However, if you need to actually hold a conversation while on a trip to the Middle East, to impress that certain someone, or to be able to speak with your grandfather or grandmother as soon as possible, then the Nitzany Method is what you have been looking for. 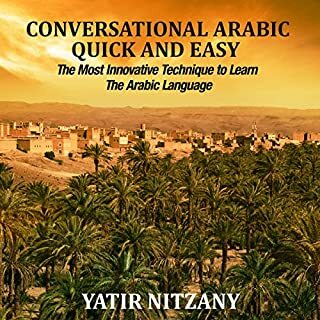 This book is recommended for those who already have some prior knowledge of the pronunciation of Arabic accents (such as the Arabic accents: ayin, ghayn, ha, and khaf). For those of you who do not, this book does indeed provide some great, in-depth techniques on the pronunciation and recognition of these accents, that you will encounter throughout the program. These techniques have proven extremely beneficial for beginner students who were previously unfamiliar with these accent pronunciations. But keep in mind, this isn’t a pronunciation book! The Syrian Arabic encompasses a few slightly different dialects. Keep in mind that the Syrian Arabic is not an official language, but rather is a colloquial dialect. The purpose of my method is solely to give you the tools to create your own sentences in order to become conversational, while in regards to grammar, pronunciation, etc., you are on your own! The first thing that drew me with this Yatir Nitzany Arabic book was the method. 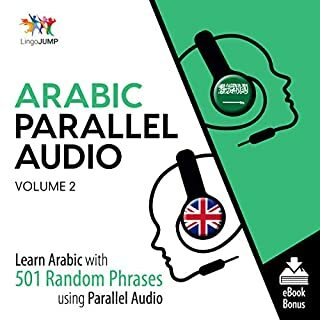 I bought Lingo Jump’s - Arabic Parallel Audio along with this one and I didn’t really like it and would now never recommend that book to anybody, so therefore I am now returning it back to audible, and I am just keeping this one. There are tons of Arabic books out there that it is becoming difficult to find a good one. 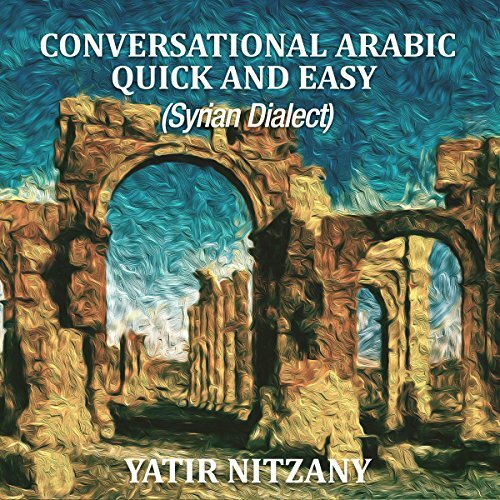 Yatir Nitzany’s book helped me with understanding conversation also pronunciation too. I don't normally write reviews for anything however I felt this audible book deserved it. I currently am learning Lebanese and Syrian Arabic at the present time. The Syrian colloquial Arabic is extremely popular lately considering the refugee crisis in Syria. I know several Syrians who escaped the war torn country and are currently living in the USA. My husband’s extended family are from there and luckily they have all left. It was an awesome audible book. It was very informative and such an amazing narrator. I am working with Syrian refugees and this book works very well. I am glad I bought it, teaches me how to communicate with them in syrian dialect. This was an interesting book for me because I always had interest in Syrian Arabic. To learn these dialects it's a very different subject matter. I study Arabic a few hours per day and any other time I have available goes straight to these audio books. Excellent source for any/all language lovers. I have been a fan of Nitzany Arabic books since the first one came out almost three years ago. Have purchased quite a few. Without a doubt, this is the best Arabic learning system I ever seen. What a fantastic series. Fantastic book for beginning Arabic colloquial learning. The format of this book makes it easy for Arabic language learners from all levels of learning. Learning Arabic dialects is much easier with these books. Narrator is native Arab. Last book I purchased the narrator was British trying to speak Arabic.